‘Tis the season! For ghosts and ghouls and turkey dinners and a depressing-exhilarating amount of gifts to be given and received. It’s inflatable witches and kandy korn and all sorts of treats and festivities for all of us, no matter how secular or religious we may be. Spoiler alert: I’m not actually a huge fan of Halloween, which makes me feel like a tiny minority amongst my Millennial generation. Dressing up in an elaborate costume and hanging out in a room full of drunk people? 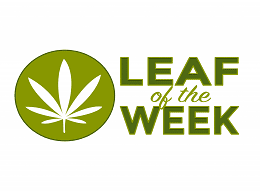 That’s what I do on weeknights, all year round. What I’m most excited about for this season is what happens next. After Halloween comes the DIF-mas miracle! 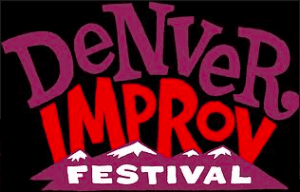 The Denver Improv Festival comes to life! Improv and I have a somewhat unrequited relationship. It’s the first performing art that I ever had access to. (People ask me how I got started in entertainment and I always tell them, straightfaced and honest: “There was a Groupon.”) I fell madly in love with it, as a community, as an art form, as a way to self-express. Improv has given me friends and lovers and acted as a therapist; it’s given me places to go, people to be with, and a voice to speak. My life would be lesser and poorer without improv. I probably wouldn’t be writing this column if not for improv. However…I’m not actually that good at *doing* improv. And those who can’t “do” write columns instead. Improv comes in two general formats: short-form and long-form. Short form is fast-paced jokes and games. (Whose Line Is It Anyway is the most famous example of short-form improv.) It relies on the performers’ sharp wit and quick thinking. I’m good at this. Long-form improv is scenic, appearing like chunks excised from a scripted work. 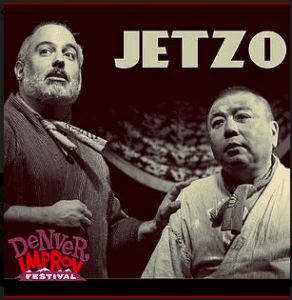 There isn’t really any famous long-form improv example because it just doesn’t translate well to mass-media channels. The Christopher Guest films are made with a lot of improvisation and are probably the closest thing to pop-culture long-form improv we have. Long-form performers must embody characters that connect with each other in real, human ways, with trust and emotion. As my friends, lovers, and therapists would tell you, I am not good at this. For those who are good at it, the results are often hilarious, relatable, dramatic, and exquisitely entertaining. A performing-arts festival usually takes the form of a number of theaters or venues in one area hosting several shows, workshops, and special events over the course of a weekend and inviting top local and non-local performers to come in and teach, play, and perform. 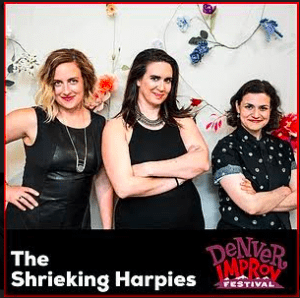 The Groupmind Foundation runs the Denver Improv Festival and they’re doing a bang-up job of getting some awesome folks to come and show us how to play around! Festivities have already begun with workshops and special sessions in the weeks leading up to the festival. These are open to the public and all levels of improvisers are welcome to attend (although space is limited and you’ll have to buy a ticket.) Being who I am, I want to call out in particular the women+ workshops that happen on Saturday mornings. If you identify as female-ish, please join in! I highly recommend all of these workshops as a way to expand your skill sets and benefit from the deep pool of talent we have right here in Denver. The special guests also host a wide variety of workshops on Saturday, covering topics from playing gender on stage, musical improv, being a “bad” character, and many, many more. Sessions happen morning and afternoon and so you can treat yourself to multiple learnings all day long! If I had a shred of musicality in my body, I’d take the musical improv one. As it is, I probably won’t. But don’t let my shortcomings stop you from doing it! The beauty of Denver is its uniqueness. It’s a one-of-a-kind city and that’s why I love it. The same hold for improv: you can never see the same show twice. Each performance, whether done by eager and optimistic high schoolers or seasoned professionals, is completely original and entirely ephemeral. Next weekend is the only chance for any of us to see the singular scenes that will only happen once. I’m going to be there, being a subpar performer, but an ardent lover of it all.